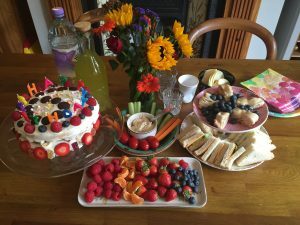 This post is for parents of little vegans – the most awesome kind, I think – who are holding their first vegan-friendly children’s party. 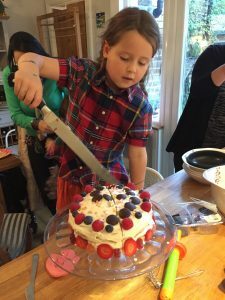 Equally if you have been invited to a vegan kids party and are not sure what to expect, hopefully this will shed a little light on things – from food, gifts and entertainment ideas. Don’t forget to check out our new shop plasticfreepartybags.com for a great selection of Fairtrade and vegan/eco-friendly party bags and gifts for children. First and foremost, do us all a favour and have a couple of beers in the fridge for the long-suffering mums and dads. Parents are reluctantly dragged round like stroppy teenagers to dozens of kids’ parties, mourning the loss of their weekend lie-ins pre-sprog era, so don’t just offer them a glass of orange squash! Right, back to the birthday girls and boys. The photos shown are from our six-year-old’s birthday party earlier in the year. 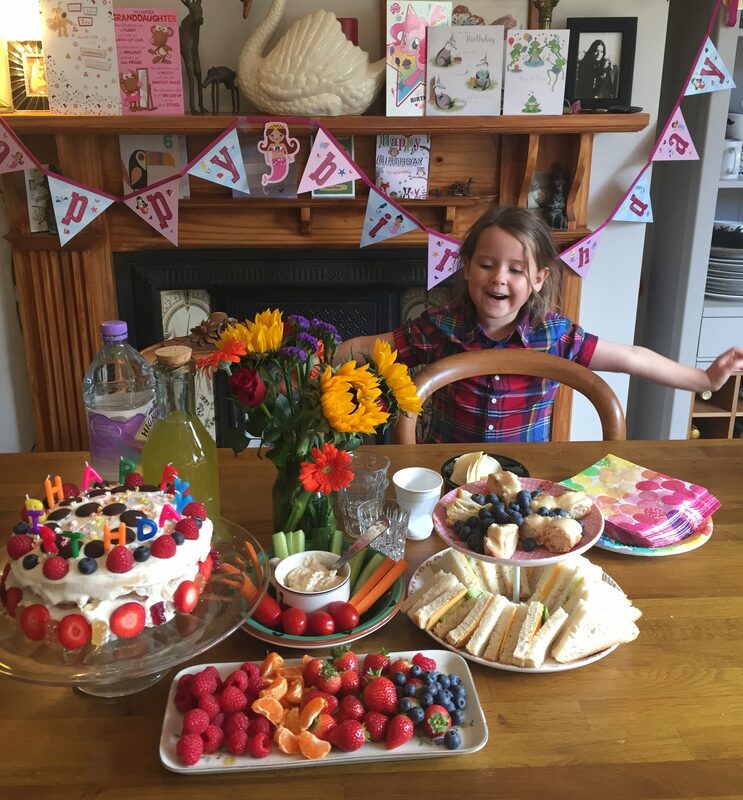 We didn’t want to spend too much, so we kept it simple and let her pick six of her school pals for a late afternoon tea party and games. 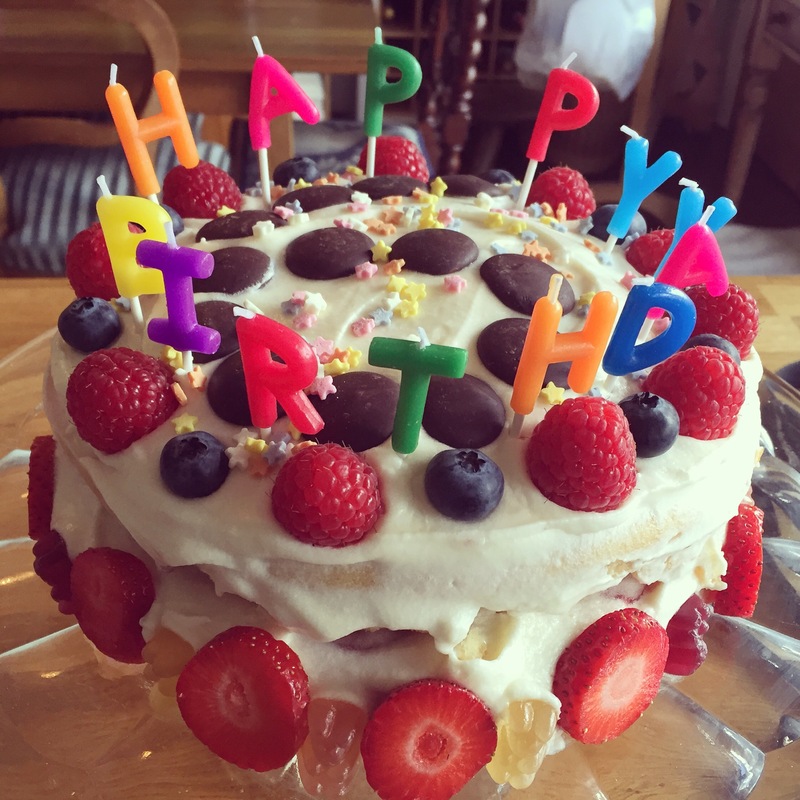 I used a Ms Cupcake victoria sponge recipe for Ruby’s cake and decorated it with vegan gummy bears, dark chocolate drops and fresh fruit. For most of our guests it was the first vegan cake they had tried, and it was devoured by parents and kids alike. It’s a great easy-to-follow recipe, demonstrating you can have a beautifully fluffy, fun and flavourful cake without eggs or dairy. As it all disappeared, I can safely say it was a hit. I wanted to keep it as healthy as possible and made sure there was plenty of fresh fruit (raspberries, blueberries and strawberries) and some veggie dippers with hummus. Sandwiches were Violife Cheddar-style slices and cucumber – none of the non-vegan kids noticed it was vegan cheese – salted Pringles and popcorn. We were able to get some vegan yum-yums from our local bakery but if that’s not available, Co-op custard and jam doughnuts are vegan-friendly. For those wanting to serve hot food, I would recommend Fry’s Family Foods chicken-style nuggets, which are amazingly authentic tasting, as are the chicken-style burgers. They have great party sausage rolls as well as plenty of other options. Their range is available from Morrison’s, Ocado and Holland & Barrett. Please see the list of party food ideas at the bottom of the post. Check out our very own shop plasticfreepartybags.com for a great selection of Fairtrade and vegan/eco-friendly party bags and gifts for children. The Good Face paint: What else is powerful enough to guarantee a small child will sit perfectly still for twenty minutes and have them beaming with excitement, even if you have managed to make them look like a vampire rather than the Snow White you promised. Lots of face paints are tested on animals and also contain animal products, so please do check. I found Love Arts Craft non-toxic face paints on Amazon which were kind to skin as well as being vegan – they have confirmed this to me in writing that the range is vegan-friendly. First we painted the kids’ faces, then it was time for revenge as the kids did our faces too. Another reason why having a drink for parents is a good idea! Pass the parcel is easy to do using newspaper, used wrapping paper and old magazines to save waste. Books are great prizes, with little packets of Tesco dairy-free chocolate buttons as extra finds in the wrapping. Lush bath bombs are super cool for kids – and grown-ups. Again traditional party games such as musical statues, and pin the tail on the donkey are all harmless games that kids love and don’t involve harming our animal friends. You can even get the kids to draw the donkey first, or pig or cow – any animal will do. And the Bad I have been horrified recently to see kids parties that involve mini ponies actually spray painted and dressed up as My Little Pony characters. Obviously a big no-no. As is anything that involves an animal being subjected to over-excited kids. Even if your child knows how to behave respectfully around animals, you cannot account for others and its stressful for the animals regardless. Remember these animals are not paid or given a choice, they are being used to make profit for a human and this is not kind or a good example to children on how to treat our fellow earthlings. Animals are not toys or entertainment and children, when made aware of this, are really understanding if given a chance to show compassion to other creatures – there are countless ways for them to have a great time without involving sentient beings. If you share your home with animals and are planning to have a house full of children, it may be worth asking a friend to look after them for the duration of the party. Our dog, who is the sweetest most child-friendly little character was looked after by a neighbour. As I stood clutching my G&T halfway though the party watching the kids running around screaming and playing, I knew this was a wise move. She would have been totally overwhelmed and over-excited herself, and not all kids (or adults) like dogs – so please consider how all the extra people will affect any animals you live with. Cats, birds and other animals should be moved to a quieter room if possible with a notice asking guests not to disturb them. Obviously no-one should feel obliged to buy a gift, but as I have been asked a few times for ideas about what can people buy vegan kids, here are some suggestions. Firstly though, a quick note to check for anything like leather, fur, wool or silk in toys or clothes as these are not vegan-friendly (please click here if you are not sure why these items are not vegan). The same applies to any little make-up kits as they are often tested on animals, as well as having colours in them that are derived from animals – insects for example (click here or here for information on this). Superdrug sell a great vegan B Range that’s vegan-friendly or Holland & Barrett have options too. 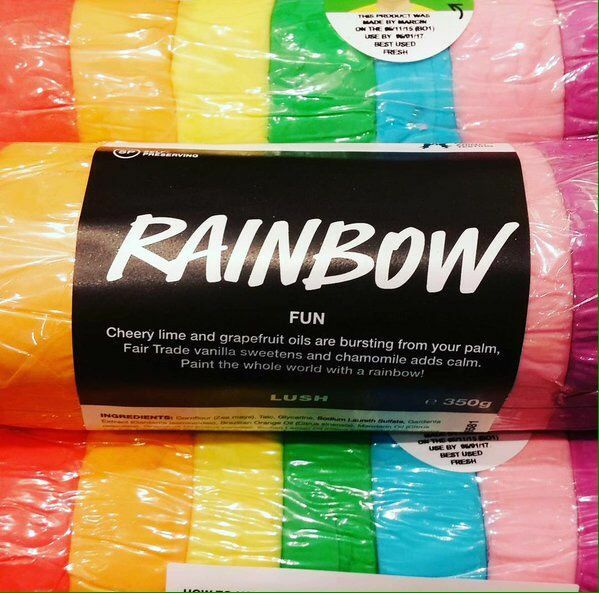 As mentioned above, Lush products make great gifts, and for under £5. Viva! have great ideas for all budgets (check out the children’s book section). Most vegan children I’m sure would love any animal-themed clothing, or you can even sponsor animals at your local sanctuary. Again, Viva! charity produce adoption packs (Peppa Pig is a popular pal) and one of our favourite sanctuaries has a great online shop selling kids clothes and other bits (see Friend Animal Rescue) that raises money for the welfare and upkeep of the animals in their care. The kids can do there own smoothies too for drinks if you have a blender. I hope you’ve enjoyed this post – as always if you have any suggestions or ideas please use the comment box below or you can email. Nice post. Found it informative. It was such a fun party. The ideas that you have shared here are a great way to make a memorable birthday party. This is definitely something I will pass along! Thanks for sharing! Any alternatives on vegan sanctuaries or rescue organisations who help with birthday Parties? Donations could be given instead of gifts… etc? Children taught to feed and help withe animals? Any ideas around it please? I’m in Croydon .. so not so far away, so peogle would attend. 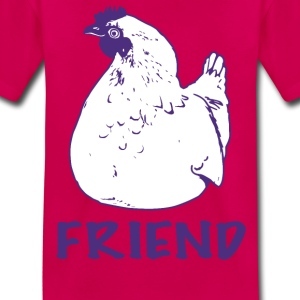 You could try Friends Animal Rescue in Kent http://littlevbigv.com/events/f-r-i-e-n-d-animal-rescue/ although I’m not sure if they do specific parties – they do have amazing open days with loads of vegan food and beautiful rescue animals lolling about. We love it there, they have an open day coming up. Another option could be http://www.retreatanimalrescue.org.uk/allaboutus.html I haven’t been yet but they have a vegan cafe and are open to visitors and what I know of the place sounds wonderful. I hope to go after Easter. Christmas Tree Farm in Orpington do host kids parties – this is not a sanctuary / vegan run farm though. I have asked them about the animals there and they do rescue animals and they then live out their lives at the farm which is great. They do sell animals however (chickens, rabbits etc) which they describe as “surplus stock”. However the animals there are very well cared for and kids can feed the animals. You can contact them for further info.